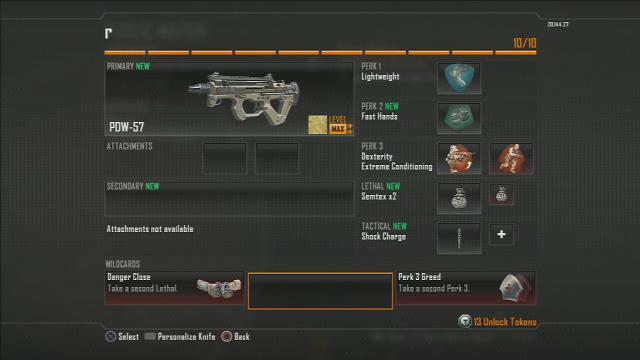 Earlier in the week I blogged on how to unlock gold weapons in Call of Duty: Black Ops II. Not long after, JayEx23 posted a video showing the gold R870 MCS shotgun which suggested the challenges differ slightly depending on the gun you are working on. I’ve managed to get the gold camo on the PDW SMG and thought I’d share a few things with you. With all of the above completed, you will be rewarded with the gold weapon camo. If gold isn’t pimp enough for you, perhaps you will like the diamond weapon camo. 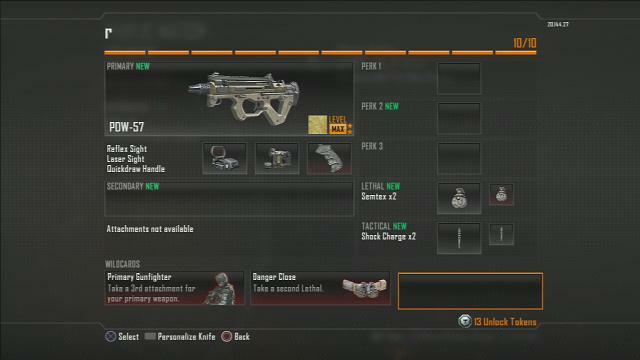 To do this, you need to unlock the gold camo for every weapon in any given class. In my case, I have another 5 SMGs to work on. The hardest part is actually the 100 headshots as, in true Treyarch style, the hit detection is a bit dodgy. I find I am more likely to get a headshot if I hip-fire at someone’s feet than if I walk up behind someone who isn’t paying attention and shoot them at point blank range. This isn’t all that different from my ideal running class. Perk wise, everything is the same: lightweight, fast hands and dexterity, with the perk 3 greed wildcard allowing me to use extreme conditioning. All I do here is make up for the lack of attachments by using the danger close wild card so I can carry a couple of ‘nades. I figured the lack of perks would make life really difficult but that is not the case. I suspect a lot of people won’t even notice the difference. For me, movement was a little slower (no lightweight) and it took slightly longer to throw my ‘nades (no fast hands) but otherwise. Once I took this into account I actually grew quite fond of this set-up. Two birds with one stone, just do no attachment and no perks at the same time.